Some time back we did a tour of Nokia Chennai factory to find out how does the new nokia asha 501 gets manufactured. We did a brief long factory tour in which we got to see all the stages in through which most of the nokia phones go through including nokia asha 501. In the nokia chennai factory where around 9000 employees work together make many nokia phones except the lumia series which does not get manufactured there. This factory was started in 2009 and now it supporting many families and people to earn their bread and butter and all asha series phones are getting made here. The factory produces 22 different nokia phones including some asha and feature phones. As per the info we got, it takes around 1 hour to make one nokia asha 501 but this does not mean that they make one at a time but this time is from the start to end for a one nokia asha 501. Nokia Asha 501 is a great phone which fulfills the gap in between a smart phone and a feature phone. 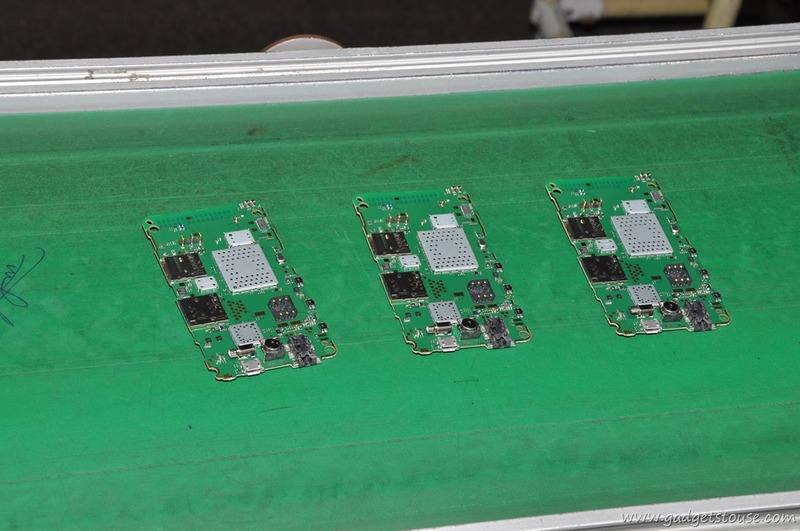 Firstly the main PCB goes inside a machine and then all the required components like Capacitors, SIM card slots, memory card slots get placed in and sets of 3 PCB one for each phone goes through many of these automatic machines one by one through a conveyer belt. Nokia follows a very stringent process while making a phone both one the employees in terms of hygiene and process to follow with rules. Each phone goes through a quality check at all levels to make it look better. Everything gets tested before the other process during the entire phone manufacturing process, you can see in the image above where a girl is testing PCB boards before they are sent to another stage. Again it takes few seconds to load the asha platform 1.0 software on the new nokia asha 501. 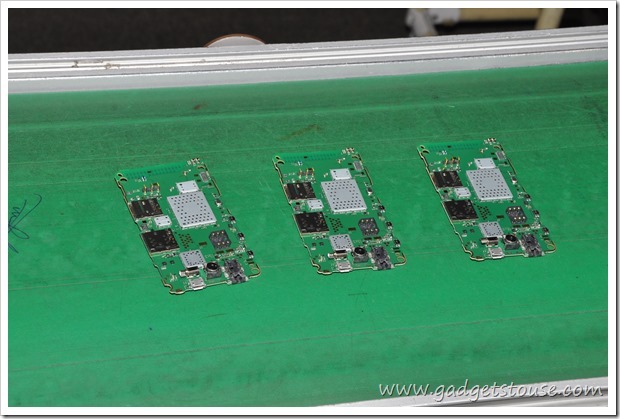 Once the PCB components are fit then it is sent fitting the same in the phone body with some components being fit manually and other in automatic way. 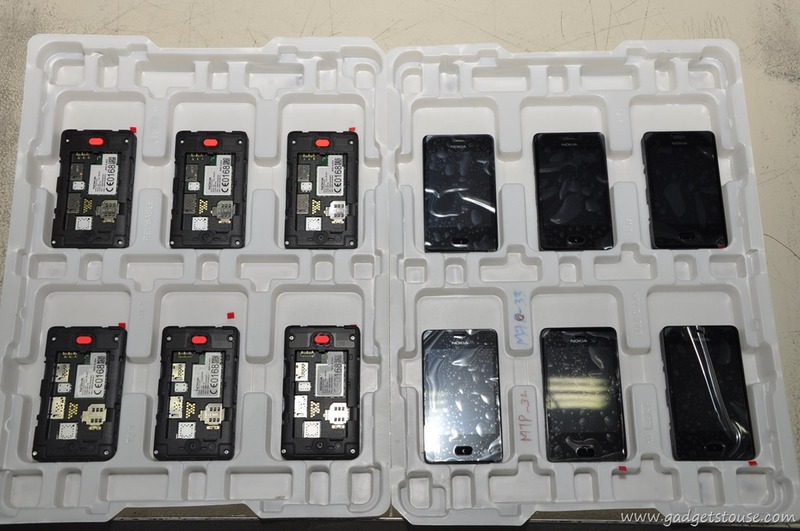 Once the phone is manufactured in different sets they are sent for stress testing where different automatic machines test nokia asha 501 – one from each set on the basis of build quality and other aspects of the phone. We reviewed the nokia asha 501 earlier, you can read our Full Nokia Asha 501 Review. 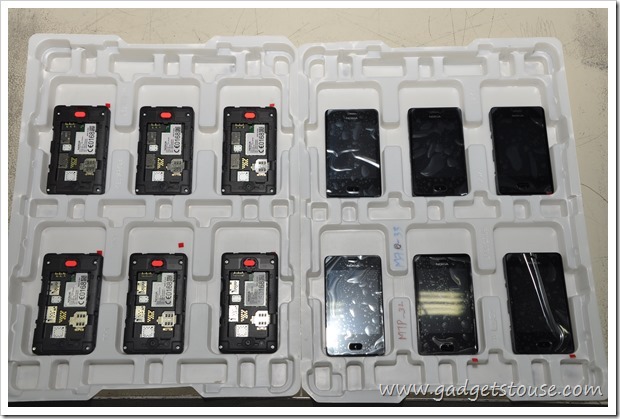 All the pictures above are normally not available to consumers but we have made these live so that you should know how your new nokia asha phone is being made.